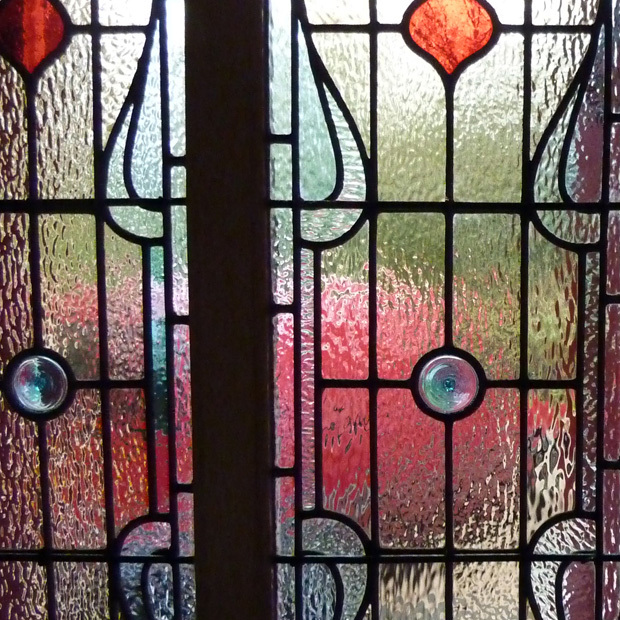 We were asked to restore an Art Nouveau leaded light door entrance and surround and matching window to their former glory by the new owners. The windows had been neglected for some years with broken panes and leads and some bowed panels but structurally in a fairly good state. 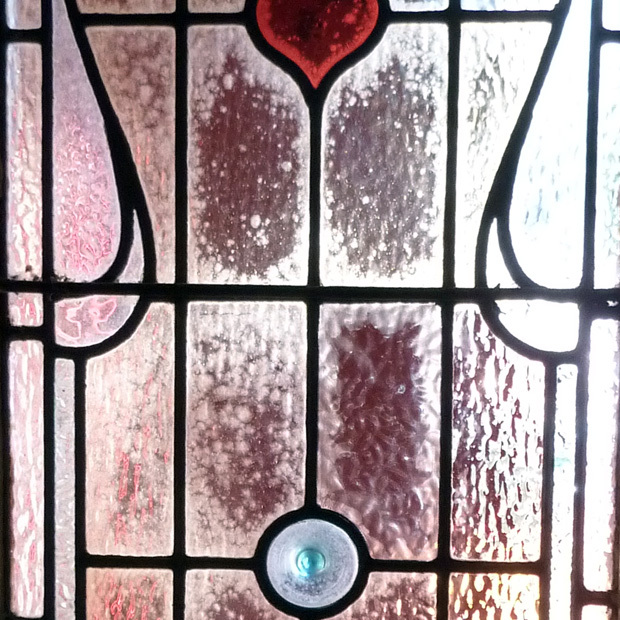 We replaced the broken panes with like for like glass in situ and removed and flattened the bowed panels avoiding any unnecessary re-leading costs. 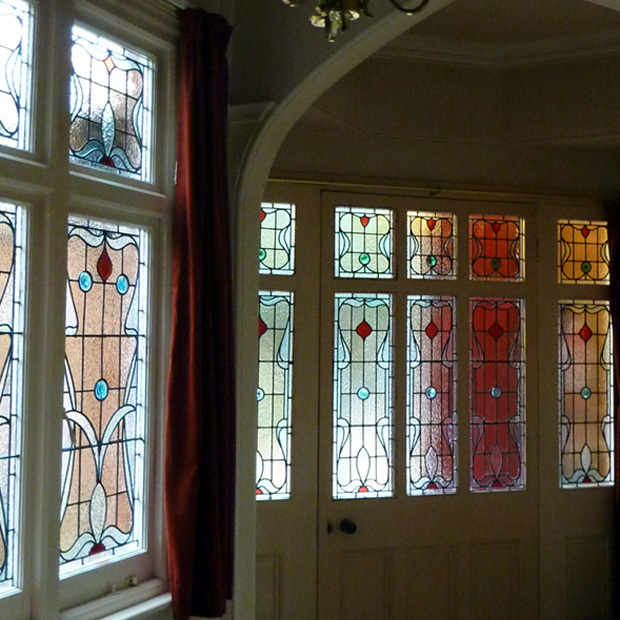 The windows were then thoroughly cleaned in situ, saddlebars painted black and lead cames polished to look like new. © 2019 Copyright Steven Cartwright Glass Designs.